Albert Finney, the irrepressible talent who shot to fame in the kitchen sink drama Saturday Night and Sunday Morning, roistered his way through Tom Jones and latterly counterbalanced Julia Roberts in Erin Brokovich, has died. Throughout a long, sometimes erratic career, he received five Oscar nominations, but never won, and refused a knighthood. 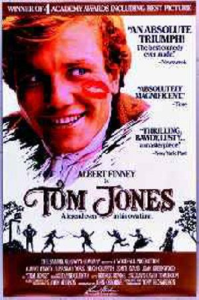 He was hailed on stage as a worthy successor to Olivier, but stuck mainly to film and occasionally TV work. Born 9 May 1936 in Salford, England, he had four planets in Taurus with his Sun widely conjunct Mars and Venus conjunct Uranus so he was a heavyweight personality who exuded a good deal of power and sexuality – no doubt contributing to his legendary love life given Taurus’s propensity for indulgence. 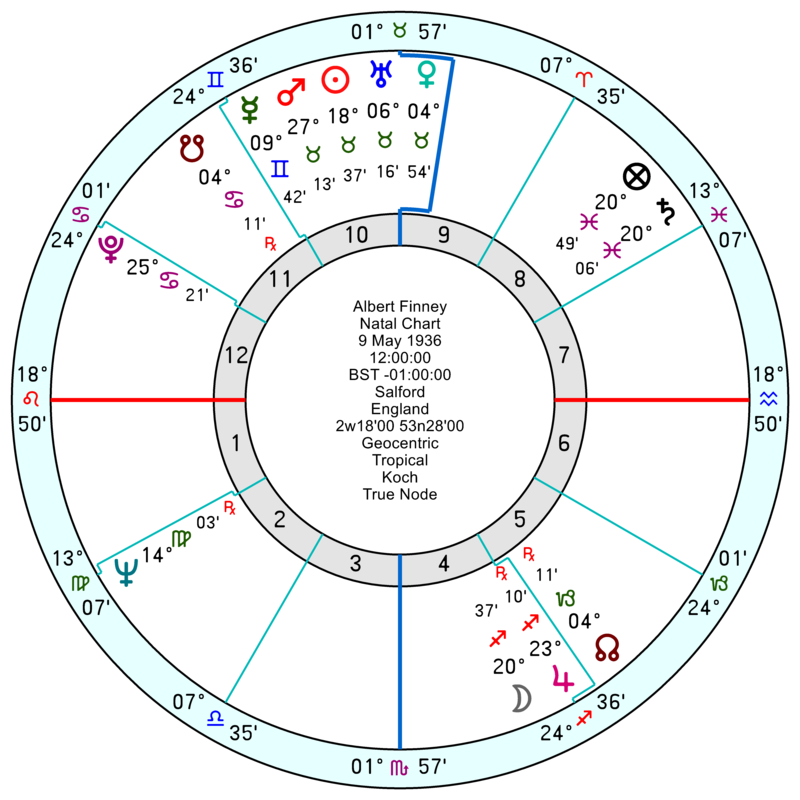 His Moon in adventurous Sagittarius was close to Jupiter and was square a creative Saturn opposition Neptune. His Saturn was also in a tough trine to Pluto, sextiling onto his Sun and Mars – so he had grit and perseverance and a defiance which came across in his screen performances. 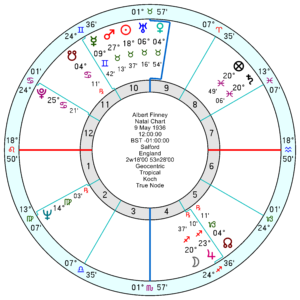 His Sun was square his other-worldly Neptune/Pluto midpoint and his 7th Harmonic was strong so he was more fey than he appeared. His strongest harmonic was the 9th – what gave him pleasure – and the impression from his long career was that he very much suited himself. David Hamblin is probably the most accessible. Along with Harding and Harvey: Working with Astrology. But it is a relatively new field so I don’t always agree with some of the interpretations or at least experience doesn’t match up. When in doubt the numerological meanings can be helpful. I appreciate your writings on people and other events in the news. It’s interesting how astrology validates so much. Marjorie, you have succinct definitions of the harmonics and it adds to learning for my own chart. May I ask, what do you consider the best source to learn the definitions of harmonics?